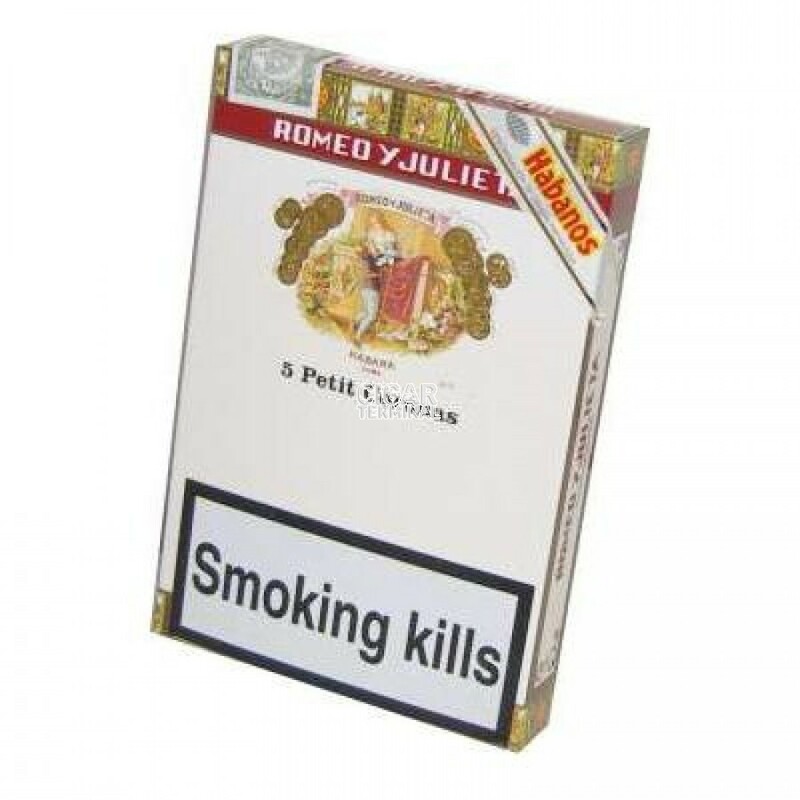 The Romeo y Julieta Petit Coronas is a delicious quick medium bodied Cuban smoke, 5.1” (129mm) long, of 42 ring gauge, and comes in 5 packs of 5 cigars. It is a rather short smoke, approximately one hour long that is, like other cigars from the brand, very well balanced and with a wide variety of aromas at the same time. There are a lot of woody, toasty tobacco aromas, also lots of creaminess, sweetness and spices. Nice hints of fresh and bitter fruits. The construction on this cigar is flawless, and ages very well. In short, it provides a great bang for your buck. The Romeo y Julieta Petit Coronas is one great cigar if you like this format and is rather affordable. 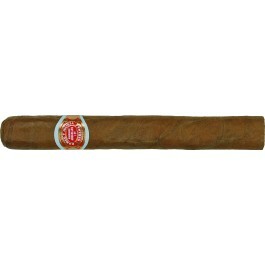 • A typical Romeo y Julieta with rich and creamy flavors of tobacco, fruits, spices among others. • Ages very well. 5 years on, the cigar becomes even more complex and creamier. This cigar is simply well balanced and well-constructed. Never lets you down. The cigar is looking great, it is perfectly rolled. The wrapper is brown and shiny and slightly oily. It is pretty firm between the fingers, evenly packed. The wrapper smells of sweet and toasty tobacco, there are also hints of sweet cinnamon. Once cut, the draw is perfect, just tight enough. There are some aromas of hay, leather and fruity notes (apples, cherry) on the cold draw. The Petit Corona lights up very easily and then the burn doesn't requires any attention, it is sharp and in straight line during the whole smoke. The ash has a nice gray color and holds on until the end of the first third. The first third of the cigar is predominantly showing some toasty tobacco and nutty flavors. There are also hints of fresh fruit, hay, of earthy mushrooms and a good amount of spices (red pepper). There is an overall creaminess and sweetness in the first third with nice aromas of vanilla, cream and pastry. The finish is long, creamy and oily on the palate. The first third is pretty powerful, around the medium body range, the flavors are deep and complex, but the balance between the flavors and the strength remains under control for the whole third. In the middle third, the complexity of flavors increases a bit more while remaining very creamy. In addition to sweet tobacco, there are now more earthy and salty flavors, of leather and soil. There are still some notes of toasty sweetness, caramel/toffee like. Spices are still around, but slightly milder than in the first third. Overall, the middle of the cigar is pretty powerful, now just above a medium bodied cigar. The finish is now a bit drier and in short, the Petit Corona proffers the typical Romeo y Julieta flavors, especially the sweet and toasty tobacco aroma. In the final third, the strength picks up even more; the cigar is a full body now while still being very creamy. The flavors are also stronger, powerful and tarry tobacco, toasty aromas of bread, caramel (almost burnt sugar), rich coffee, dark chocolate and bitter cherry. The creaminess is following you until the end of the smoke, which comes around the hour mark. In summary, it is an extremely well balanced smoke, which is both powerful and rich in taste.